No espousing any wisdom or advice this week. I’ve recently completed grading seventy plus 10+ page final essays to close out the semester, as well as finishing up thesis-critiquing with my grad students, and also have been diligently working on my current work-in-progress. Then my sliding glass door goes and gets assaulted by a large branch in last week’s storm, smashing it to bits, and my car had to be taken to the dealer for a thump it seems only I can hear. To sum up, my brain’s a bit fried. So see that table in the left background? 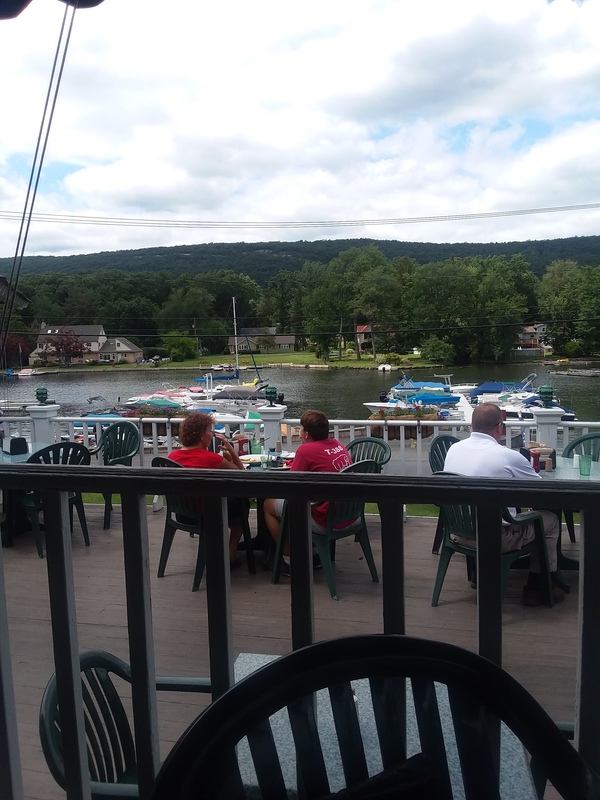 It’s at a lovely little lakeside bistro in beautiful Greenwood Lake, NY. That’s where you’ll find me this weekend, basking in the sunlight, with a restorative frosty in my hand. I will call you if I need you. Happy Memorial Day Weekend start of summer, all!